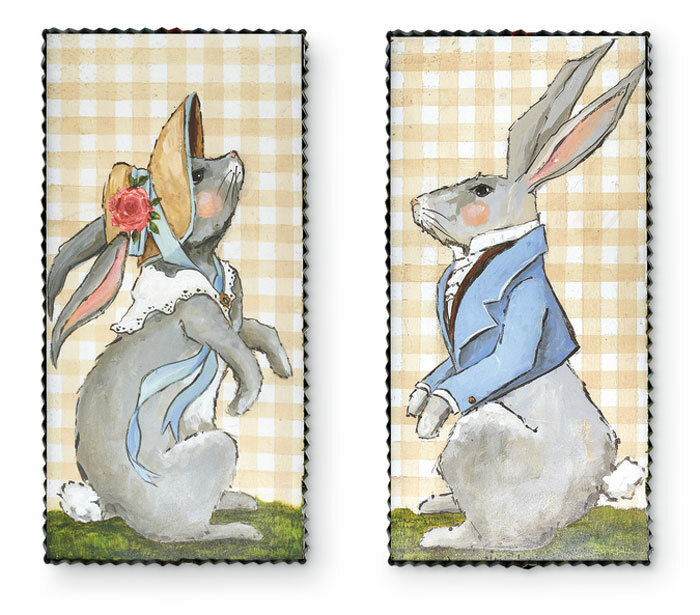 Our bunnies are dressed for the Easter parade! Each artwork is encased in a metal frame with a sawtooth hanger on the back. Formerly $65, now 40% off. Discount may not be applied to prior purchases.